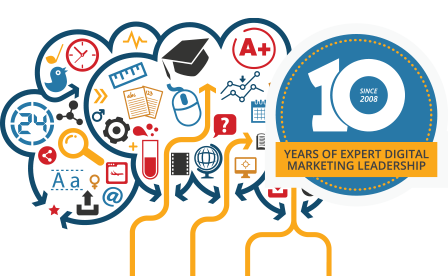 Testimonials are one of the most powerful and enduring marketing tools out there. When was the last time you tried a new restaurant or made an important purchase without first scanning dozens of user reviews? A recent consumer survey found that 90% of us check reviews as a matter of course, before making any final purchasing decisions. Of course, selecting a school is really no different. Students and parents will examine a wide range of ranking reports and student feedback when comparing their options. But while gathering testimonials is crucial, you may only have time to solicit a handful of new ones each year. A surprising number of schools – K12, universities, career colleges, language institutes – neglect to fully leverage their hard-earned reviews. You may have recorded those video interviews (or collected those feedback forms) with YouTube or a specific promotional campaign in mind. But why limit the possibilities? 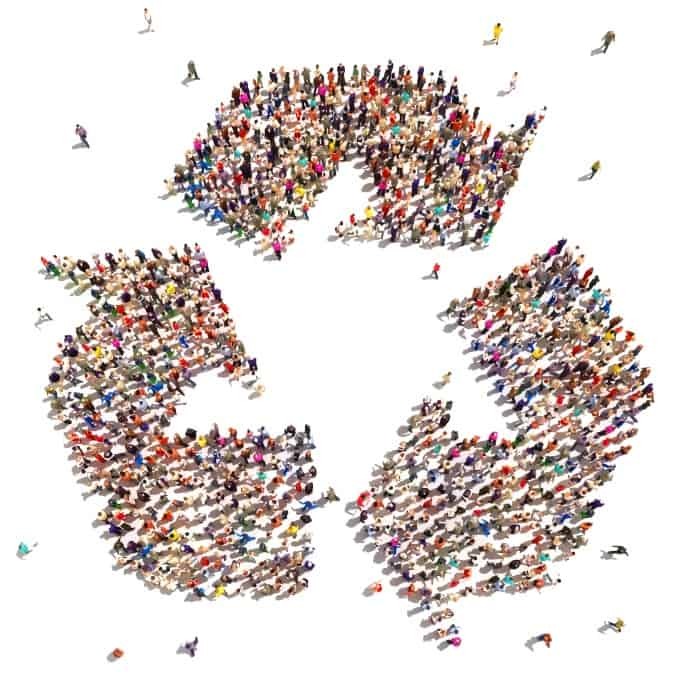 Here are 8 ways to re-package, recycle, and re-use testimonials, and multiply their recruitment power both on and offline. But coming up with consistently engaging and well-written posts is extremely challenging for most schools, who operate with a small team of admissions and recruitment professionals. Save yourself some time by re-purposing your existing testimonials as student-focussed blog posts. If you’ve used interviews to gather feedback from students, you can simply add an introduction, some subtitles, an image or two, and a strong Call-to-Action before publishing the content as blog posts. If you’ve asked students for a simple statement about why they love your school, or how they’ve succeeded following graduation, flesh out the content by following up with a more detailed interview. Select students who best reflect your target audiences, and whose stories will inspire and motivate prospective applicants. 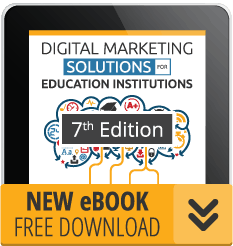 Blog posts that demonstrate the value of your educational programs should be a staple of your student recruitment content strategy. Treat every testimonial or quote as a potential new narrative to develop and share with fans online. Research shows that at least 68% of prospective students visit your social media channels as a way of evaluating your school. What are they looking for? 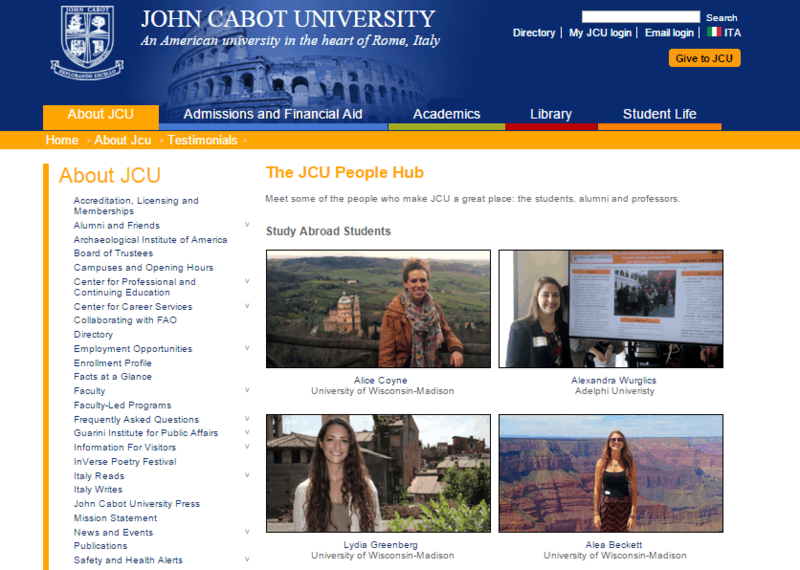 Proof from their peer group (your student community) that your institution is the one they should select. If you’re hoping to attract new fans online, increase website referrals, and generate student inquiries from social, you should put testimonials front and center. Notice how the college is careful to contextualize the testimonial by naming the student, describing his goals, and including a CTA to encourage inquiries. Well-placed testimonials add credibility to your website. They inspire longer visits, and when combined with on-page forms and strong CTAs, can help schools generate more student leads. 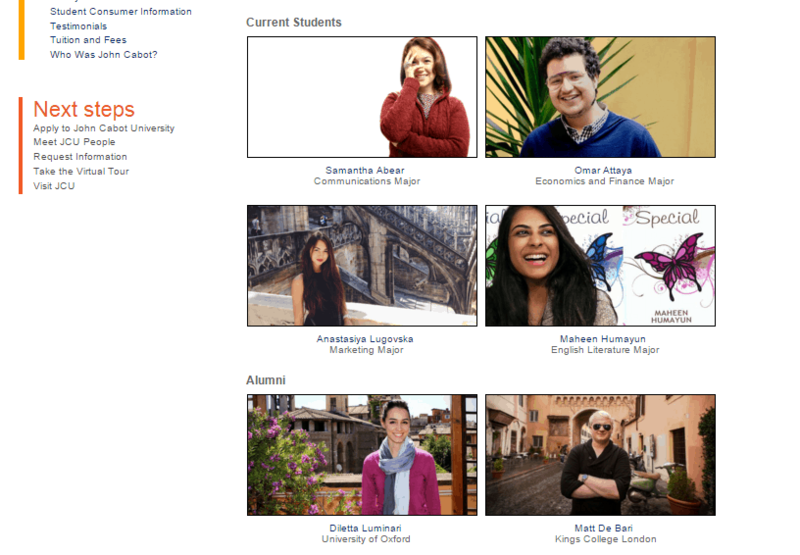 In addition to the homepage, it’s always a good idea to place testimonials on your academic program pages, where you know prospective students will go to learn more about specific study areas and courses. When re-using video testimonials from a previous project, just be sure to include a brief text-based introduction. Let your website visitors know who they’ll be meeting in the video to hook their interest and entice more views. You can also pluck a line or two from a longer testimonial to enhance an important key marketing message on one of your website pages. 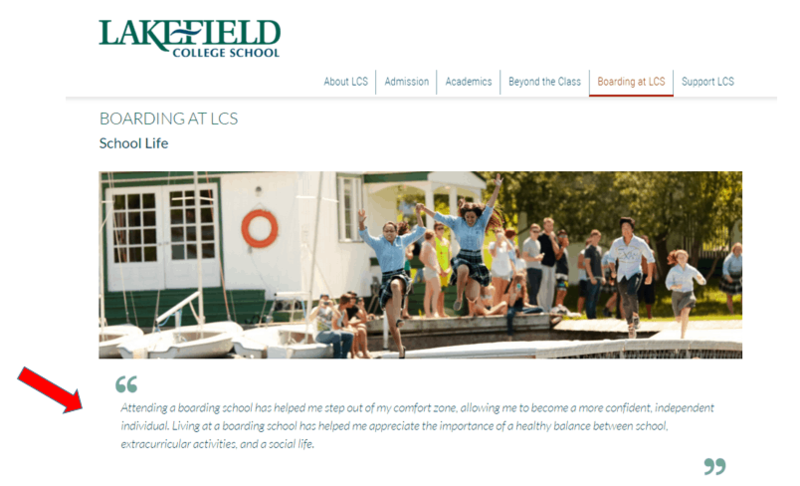 In this next example, Lakefield College School (a private day and boarding school) uses a well-placed short quote to help parents see the benefits of living away at school. This suggestion seems fairly intuitive, so it’s surprising just how many educational institutions forget to do it! If you have a series of interviews with happy current students, successful alumni, and satisfied parents, consider giving them a permanent home on your website. 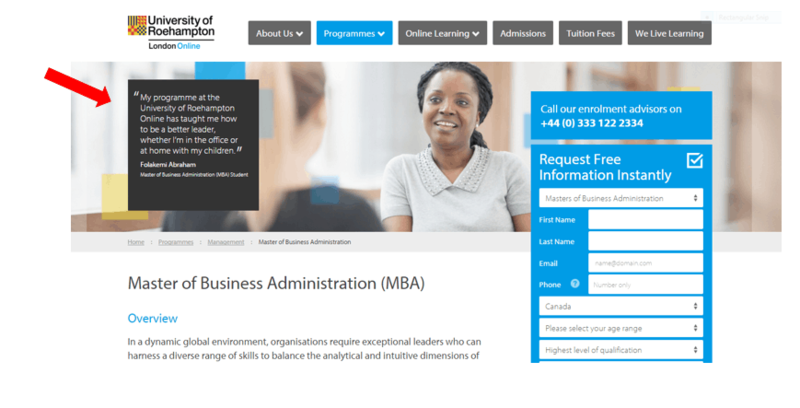 Visitors will be sure to visit this section when researching your school and weighing their enrolment options. 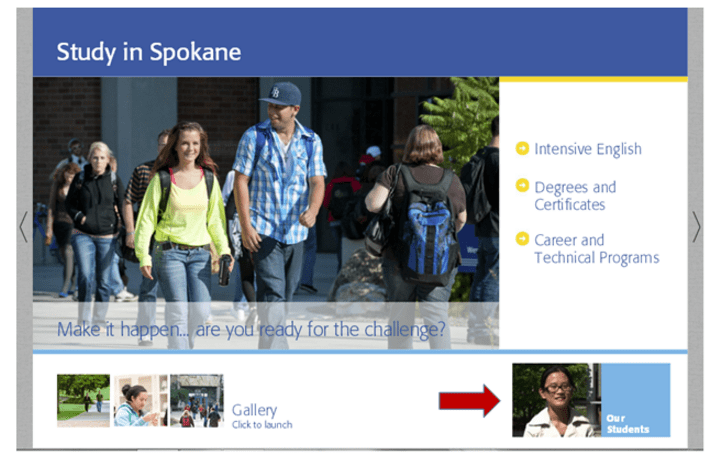 Curate a selection of your existing testimonials, spread across study areas, putting emphasis on themes that matter most to your target audience (campus safety, employment outcomes, personalized instruction, hands-on learning, internship opportunities, instructor prestige, support for international students, etc). 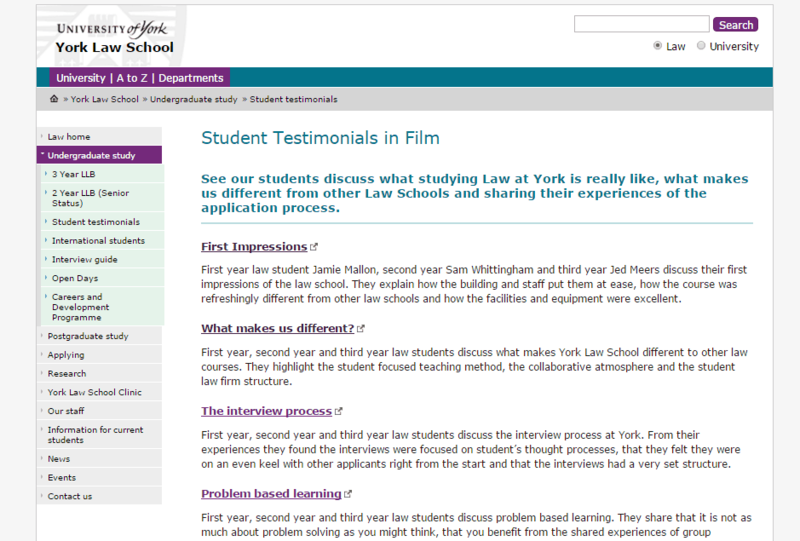 Who said student testimonials are only useful for online marketing? Set up a big screen and run a series of video reviews or inspiring short quotes (paired with images) at your next open house event. Or set up a series of media stations, categorized by subject area/theme, so visitors can zero-in on the real-life stories that matter most to them. This is a great tactic for year-round engagement with visiting students and families. Ideal for institutions of all kinds, from K12 to university, incorporating testimonials into your school’s décor sends a persuasive, highly visible message, to new prospects. Younger students can hand-make their statements (perhaps sourced from a larger project on life at your school) and post them in your entrance and hallways. For older audiences, consider re-purposing existing content to create a display wall of student success stories. Focus on positive alumni outcomes and don’t forget to always include pictures. The possibilities are endless! In order to generate leads and inquiries, your landing pages must be persuasive on several levels. While several elements come together to achieve these goals, one of the most crucial is the student testimonial. 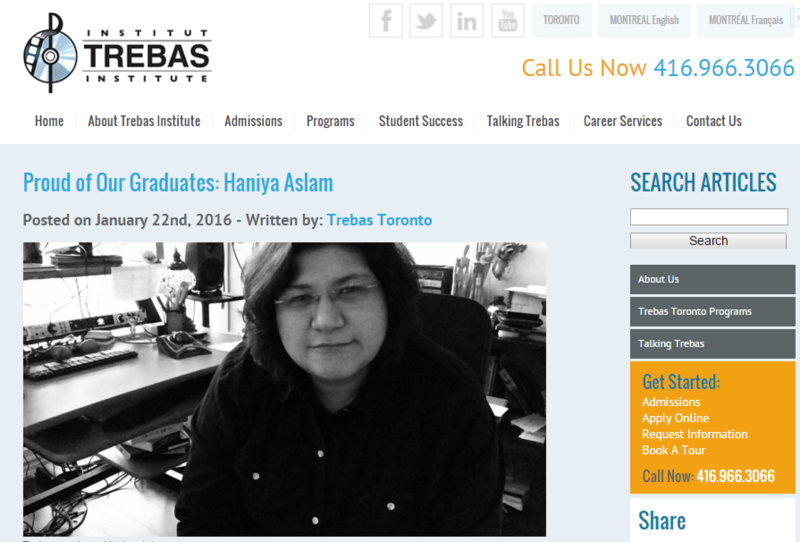 As always, no one tells your brand story better than a happy student or successful graduate. Re-package your testimonials in both video and short-quote form on your landing pages to see an increase in new leads from paid search campaigns. Whether you’re going with print, e-versions, or a combination of both – promotional brochures are the ideal place to re-use your student testimonials. A good balance between institutional messaging and authentic student stories will help your brochure avoid self-promotional quicksand. You could use some of the video testimonials you’ve already added to your YouTube channel, or posted on your university website. There’s no need to re-invent the wheel when resources and time are limited. And there you have it. Eight starting points for extending the life of your student testimonials, and getting the most out of each and every positive story. 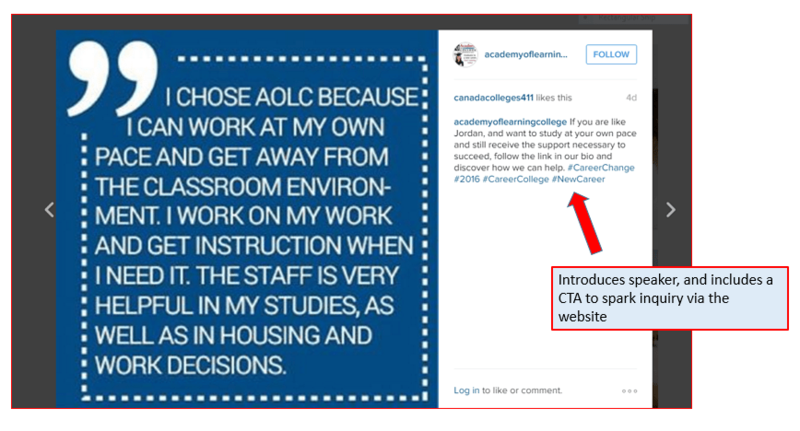 Know other creative ways to re-purpose and amplify student testimonials? We’d love to hear your comments or questions in the section below!